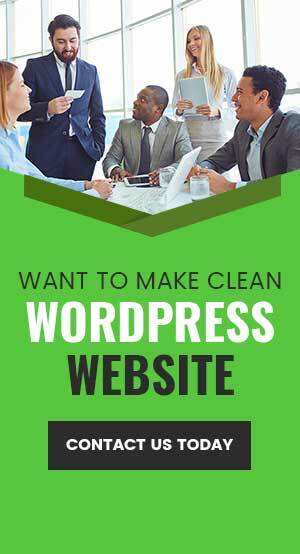 Find the useful information on Custom WordPress Website Development for Your Business Right here. Our tech team contributes regularly by writing useful information that will help you get technology updates and information that will will help you take an informed decision for your projects. With the diverse use and intricate importance posed by websites for brands and businesses, getting a good website has been a bone of contention. When considering how to go about developing your website and choosing between the numerous acclaimed website developers India, you will need to give it a good thought in order to get good value for your money. Several people in recent times have chosen custom WordPress development for their websites. WordPress has been found to be one of the most widely used and also a reliable platform used for website development in India. It has become a people’s choice for the development of websites for businesses. WordPress Web Development Company in India has several advantages and some of them are things we know. It is a free open source and very easy to use. There is also available, a number of custom WordPress development which makes website developing easier. Who’s managing your WordPress website? With the numerous number of WordPress developers available, you’ll want the best of hands to handle your website especially for that business and brand of yours. Updates from time to time are needed in order not to lose business from clients as an un-updated website can be misleading for clients. Below are some of the routine practices to be carried out on your WordPress website by your website developer. Now, I know a great number might ask if there is an actual need to update themes and plug-ins –the answer is a very loud YES! Same way updates of apps are needed in mobile devices, in the same vein, the update in website themes and plugins are very important. It helps enhance security, fix the available bugs and increase functionality and adds special features to your website. Bugs are a common issue of custom WordPress development and a good way to keep this in check is to ensure WordPress website management is done routinely. Carry out frequent checks on the site for bugs or malware so that they can be fixed in case of any. Having a website without security can be very fatal. A vulnerability is easily exploited by lots of hackers and a good way which has been said to prevent this is to install updates regularly so as to avoid your site from been hacked. The importance of back-ups for any website cannot be over buttressed, WordPress websites require backup –backups might be considered as a casual step not until an unfortunate event. Sometimes server outages, hacking, mistakes and even from the host company can be some reasons why backups are a must-do for an effective WordPress website management. A wide range of reasons has been outlined above why you should ensure routine management by your web development company in India for your WordPress website. Take a step today to carry out routine maintenance in order not to miss out on potential clients for your business. A Guide For A Successful Start Up – Actions To Avoid. How to Build Your Own Online Website? Steps To Tackle Your eCommerce Website Bounce Rate. FAQs While Developing and Designing Your Website. How to Decide if Your Website Needs a Revamp? The biggest difficulty with Android Apps – How to Solve? Why build a mobile app ? Better Conversions Mean More Profits - Interested ?